Some of the principles articulated by John Calvin remain at the core of Presbyterian beliefs. Among these are the sovereignty of God, the authority of the scripture, justification by grace through faith and the priesthood of all believers. What they mean is that God is the supreme authority throughout the universe. Our knowledge of God and God’s purpose for humanity comes from the Bible, particularly what is revealed in the New Testament through the life of Jesus Christ. Our salvation (justification) through Jesus is God’s generous gift to us and not the result of our own accomplishments. It is everyone’s job — ministers and lay people alike — to share this Good News with the whole world. 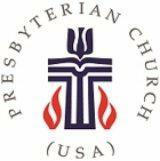 That is also why the Presbyterian church is governed at all levels by a combination of clergy and laity, men and women alike. Presbyterians confess their beliefs through statements that have been adopted over the years and are contained in The Book of Confessions. These statements reflect our understanding of God and what God expects of us at different times in history, but all are faithful to the fundamental beliefs described above. Even though we share these common beliefs, Presbyterians understand that God alone is lord of the conscience, and it is up to each individual to understand what these principles mean in his or her life.